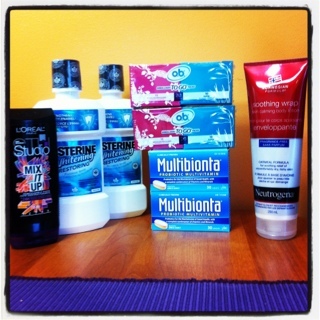 Went back to London Drugs to get more cheap O.B. tampons and free Neutrogena Norwegian Formula Soothing Wrap Body Lotion – unfortunately you weren’t supposed to be able to stack coupons according to the wording on the in store London Drugs coupons for the Neutrogena. Oops. The cashier pointed it out today – guess I need to read the coupons a little closer. So I did one and one, found a 20 pack of tampons in there today for the $2.99 price. This entry was posted in canadian coupons, coupons, free, free gift, london drugs, shoppers drug mart and tagged canadian coupons, coupons, free, free gift, london drugs, shoppers drug mart on December 10, 2011 by Courtnie.